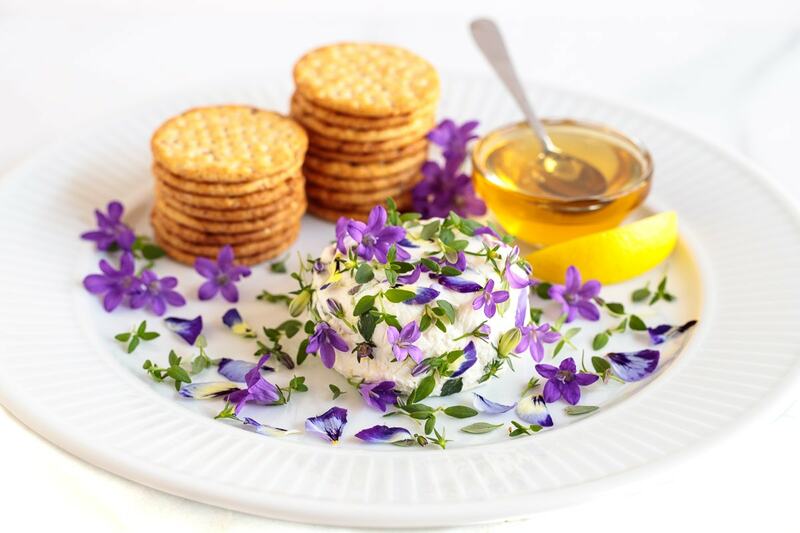 This easy goat cheese appetizer with lemon, thyme and honey takes 10 minutes to put together. 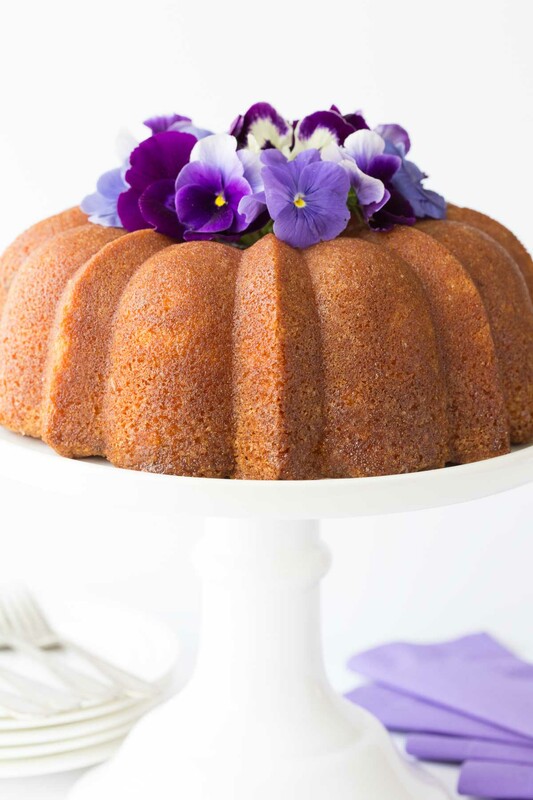 You can add edible flowers for a “wow” factor! Who doesn’t need a super simple, universally appealing appetizer that can be pulled out at the spur of the moment and served as a pre-dinner nibble or a wonderful wine pairing? And if, in addition, it’s crazy delicious and makes a beautiful presentation, then it’s most definitely a winner. That’s the perfect description for this Easy Goat Cheese Appetizer! How easy is this Easy Goat Cheese Appetizer? I just thought you’d want to know! Combine fresh thyme leaves and lemon zest with softened goat cheese. Then line a small bowl or ramekin with plastic wrap and pack it with the delicious goat cheese mixture. Refrigerate (or freeze for a few minutes, if you’re in a pinch) till ready to serve, then remove from the mold and garnish with fresh thyme leaves and sprigs. If you want to take it over the top, add some small edible flower petals, blossoms, buds, etc. and a drizzle of honey! 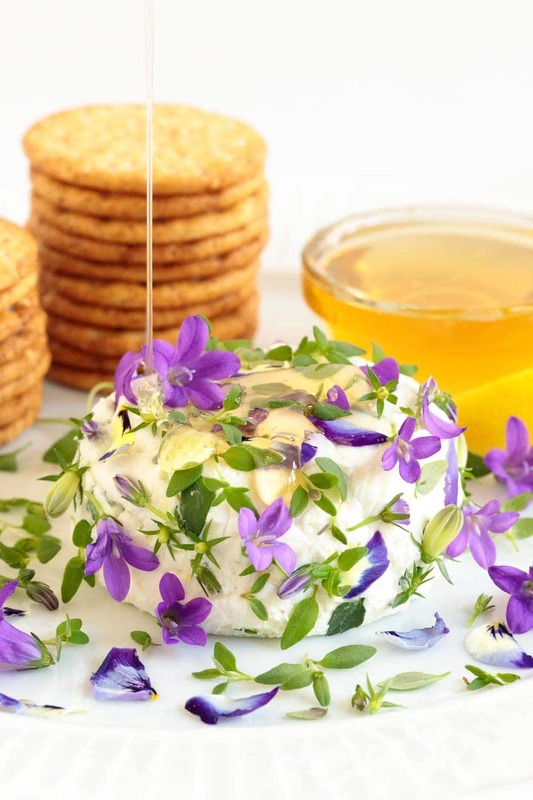 Or just serve a small bowl of honey with the cheese and crackers for guests to drizzle themselves. 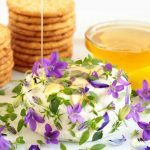 Since edible flowers can be such an easy yet stunning way to add a pop of pizzaz to so many dishes, I thought I’d answer some of the most common questions regarding flowers and food. No! Just like mushrooms, there are lots of varieties that are edible, those that just don’t taste good and those that are actually poisonous. So it’s super important to know which ones are safe for consumption. Which flowers can you eat and what do they taste like? There are tons of edible flowers, but lots of them are very common. Some edible flowers have almost no flavor at all. Others taste similar to the way they smell. Pansies are probably the most common of all edible flowers, so pretty and they come in a wide range of colors and hues. Pansies are really more showy than flavorful but you might note a slight “grassy” taste. Violets grow wild in the spring and early summer (depending on where you live) and can also be grown as a landscape perennial (know as sweet violets). Violets have a sweet, florally flavor. The whole plant is actually edible, leaves and all! However, don’t confuse violets with African violets which are usually considered non-edible. Johnny-Jump-Ups look like miniature pansies, but have a different flavor. They have a slight “mint” flavor, some say they taste a bit like bubblegum! They’re perfect on cakes or with soft mild cheese, like this Easy Goat Cheese Appetizer! Johnny-jump-ups, pansies and violets are all members of the Viola genus. Marigolds, like the name says, come in shades of yellow and gold. They have a mild citrus flavor. Another bonus to marigolds? Deer are not too wild about them, and tend to leave them alone in the garden! Roses are not only beautiful to look at and smell! All roses are edible, each has a delicate, slightly sweet flavor. So stop and eat the roses! Honeysuckle flowers are abundant in the spring and, like the name says, have a sweet honey taste. 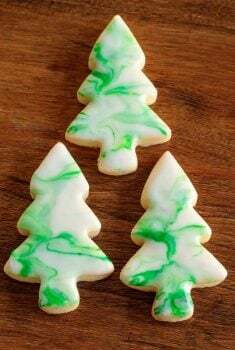 They can be used as a pretty garnish, but also for tea, jelly, syrup and lots of other things. Check out this amazing Honeysuckle Ice Cream from my friend, Sue over at The View from Great Island! Just a note: only the flowers are edible, the berries are poisonous! Chive Blossoms are a beautiful pale purple and have a mild chive taste. They’re lovely in salads and you can break apart the flowers and sprinkle the tiny pretty purple petals over vegetables, eggs, soup, potato salad, etc. Dandelions aren’t just pesky weeds! It’s fairly common knowledge that you can eat dandelion greens. But everything; the leaves, the flowers and even the roots of the dandelion plant are edible. Dandelion leaves are a bit bitter, but the flowers have a sweet flavor. Their bright, cheerful color makes a beautiful addition to salads! Nasturtium is one of my favorite flowers both for displaying and eating. Nasturtiums have brightly colored red, orange and/or yellow blossoms and add a beautiful splash color to garnish cakes, pastries, salads, soups, etc. Both the leaves and the flowers are edible and have a slightly peppery flavor a bit like arugula. The blossoms have a milder taste. Nasturtium is actually quite healthy for you too, containing a variety of minerals and has antioxidant and anti-inflammatory properties! Cornflowers, also known as Batchelor Buttons have a sweet, spicy clove-like flavor. Their brilliant blueish purple hue adds an eye-catching touch! 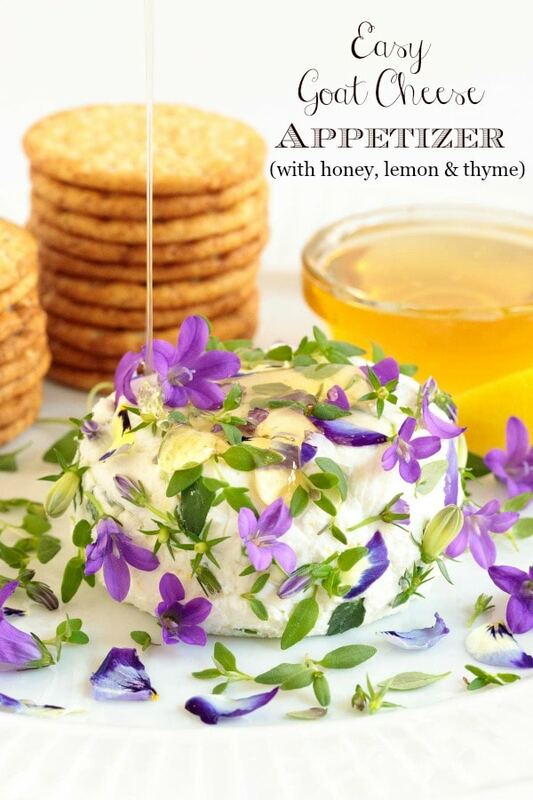 Campanula is one of the edible flowers I used in my Easy Goat Cheese Appetizer. It has a mild, bland flavor so it’s used more for the pretty purple flowers than for added flavor. The leaves and flowers of the Campanula plant can be used in salads and as an edible garnish for lots of other dishes. This is far from an exhaustive list, but I hope it will help you get started. You’ll find there are many others including lavender, hibiscus, borage, purslane, squash blossoms, sage blossoms, chamomile and lots more! Where do I find edible flowers? 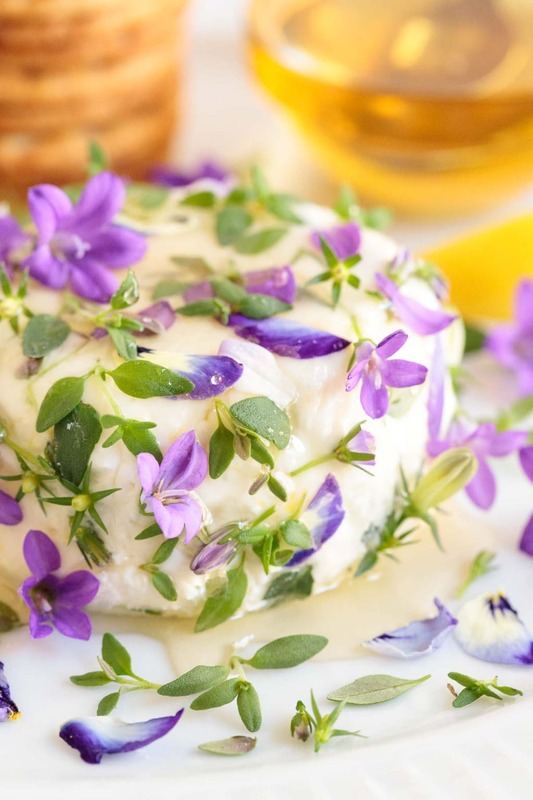 The best way to be able to use edible flowers is to grow your own. 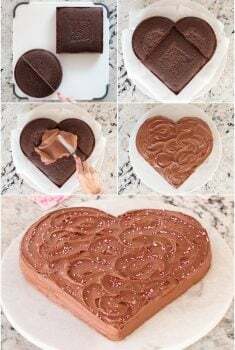 Most edible flowers can be grown from seed and how fun to be able to walk out your door and pick a few blossoms to add a splash of fun color to your food! You can also find edible flowers at nurseries, farmer’s markets and in the produce section of some grocery stores. You’ll just want to make sure that the flowers haven’t been sprayed with pesticides or unsafe chemicals. Also, be sure to carefully rinse any flowers that you use to decorate your food creations! You can also order them online. Companies like Gourmet Sweet Botanicals or Melissa’s will ship them to you. If you don’t like the idea of eating flowers, just use them as a beautiful garnish like this Italian Lemon Ricotta Cake. Or this delicious Lemon Buttermilk Pound Cake! Goat cheese can be expensive! I like to buy mine at Aldi (see our post, What to Buy and How to Shop at Aldi). 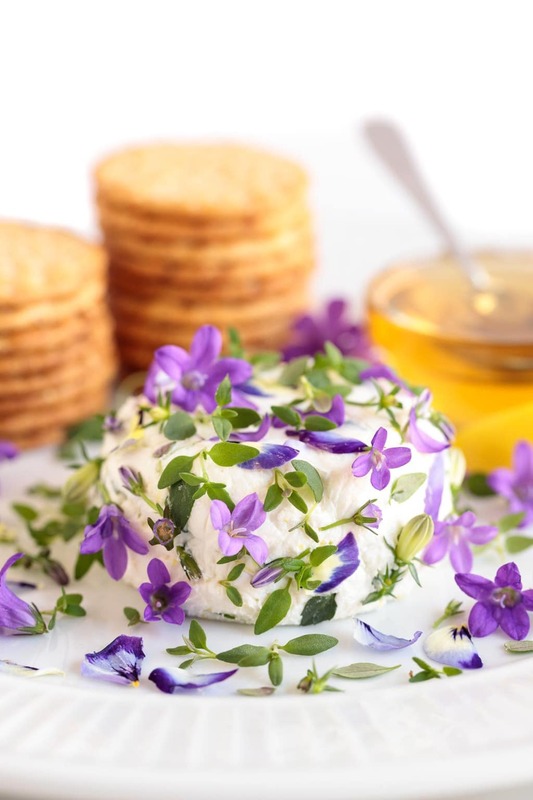 For this Easy Goat Cheese Appetizer, I used Campanula flowers and leaves, fresh thyme and pansy petals. To soften the goat cheese in this recipe just let it sit at room temperature for about 30 minutes. Cover the goat cheese with plastic wrap while softening. You don’t have to use any flowers for this appetizer. Just a garnish of fresh thyme leaves and sprigs is lovely. You could also add a little lemon zest on the top. This Easy Goat Cheese Appetizer calls for lemon zest. It’s super easy to zest a lemon with one of these Microplane Zester/Graters. I find that they do get dull after being used for a few years and need to be replaced. Honey is also optional in this recipe. Sometimes I drizzle it over the top just before serving. You can also serve a little bowl on the side to give guests a choice. 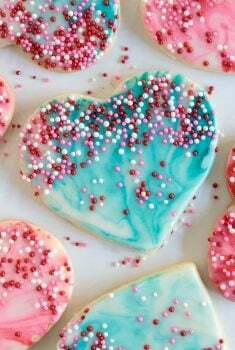 Or do both for those who enjoy a little extra sweetness! Line a small bowl or ramekin with plastic wrap. Try to have as few wrinkles as possible in the plastic wrap. Set aside. Combine softened goat cheese, lemon zest and thyme sprigs in a small bowl and stir to combine. Add the goat cheese mixture to the prepared bowl and, using the back of a spoon, pack the mixture down to get rid of any air pockets. Pull excess plastic wrap over the cheese mixture and refrigerate for 30 minutes (or freeze for 5-10). Remove from refrigerator and invert goat cheese mixture onto a serving place. Remove plastic wrap and garnish as desired with fresh thyme leaves and/or sprigs and/or edible flowers and petals. Serve with crackers and a small bowl of honey for drizzling. This looks SO pretty! Terrific idea — thanks. What a fun appetizer and so pretty. Perfect for any gathering or just because! Cheese and honey is such a great combo. Love it. Whoa, you’ve turned this appetizer into a show stopper! 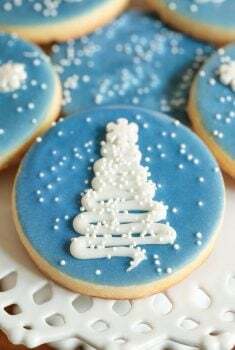 Beautiful and delicious! Thanks so much, Rose Mary! What a beautiful spring appetizer Chris! I love the edible flowers! Thanks, Mary Ann! 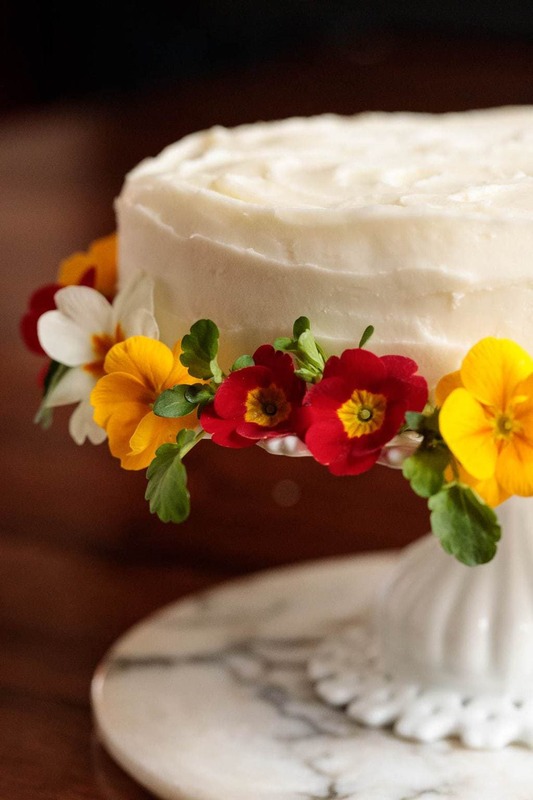 I agree – edible flowers give such a beautiful impact!